Wonderful Photos for a wonderful Day! Having worked in media I know how important a good pictorial record of a special event or day can be. It was important to Rich and I that we had memories of both the atmosphere and the enjoyment of the guests and family who attended. Ted and Kim have been wonderfully helpful from the start. Ted arrived in the morning having not met either of us (living in Oxford it was difficult to get a pre wedding shoot into the diary) but it felt like he’d known us for years! He slotted in, made jokes and managed to keep everyone calm and relaxed when posing for snaps. Ted was also willing to try a few more ‘interesting’ shots, wading into a muddy field to take some stunning landscape photos. The finished photos are lovely and I can’t wait to get them on the wall! We met Ted at a wedding fair in Kent and he immediately put us at ease. We made a booking for our wedding this August and along with our package came an engagement shoot. This would not have been something we would have otherwise considered, having already been engaged for 2 years! However, I am so glad we took up the offer of the shoot as it was great to not only practice posing for both formal and informal pictures, but it was lovely to spend some time getting to know and feel comfortable with the person who would be documenting our wedding. The resulting pictures were beautiful and made us feel confident that our pictures on our big day would be every bit as lovely. I’m happy to say that our wedding pictures are everything we hoped for and more! On the day Ted was brilliant and managed to get the perfect mixture of formal family pictures and relaxed action shots. We couldn’t be happier that we chose IMMI for our wedding day and would definitely recommend them. From the moment we booked Ted to cover our wedding he and Kim were so helpful. Our free engagement shoot was great fun and meant that we felt much more comfortable on our wedding day. We’ve been to lots of weddings where the photographer either annoys everyone by being far too bossy or alternatively never takes control making everything feel very chaotic. Ted on the other hand was completely professional and had a brilliant rapport with our guests which meant we got all of the shots we wanted without having grumpy guests! We are very pleased with our photographs and wouldn’t hesitate to recommend IMMI to our friends and family. Choosing a photographer to immortalise the best day of your life is a big decision. The precious and unique moments of the day need to be captured so that when you reminisce in the future you will be instantly transported back to the magic of your wedding. Forgive us for being immodest but we chose the perfect photographers. Ted and Kim from IMMI are a friendly, engaging, professional couple who were a pleasure to work with throughout the process. We opted to do an engagement shoot which gave us a chance to get to know Ted and get over some of the awkwardness of being front of a camera. The net effect was that at the wedding we felt completely relaxed in the knowledge that we were in very safe hands. Ted was polite, fun and authoritative (required for a big Irish wedding!) for the group photos and blended in so well that you didn’t notice he was there. We are truly delighted with our photographs and would have no hesitation whatsoever in recommending IMMI Photography. We really wanted a photographer with personality, flair and creativity. We read the reviews, met Ted and then we knew we had found our wedding photographer! Ted was great to work with. He made us laugh, and put us at ease straight away. Everybody has commented on how much Ted managed to capture the atmosphere on the day, which is exactly what we wanted. Looking through the piccies there is so much I had forgotten. Thank you for capturing our special day! We were recommended IMMI by a friend who also had her wedding photos taken by Ted. From our first meeting, we were made to feel completely at ease and knew we had made the right choice. On the day of our engagement shoot Dan and I were both a bit apprehensive, but we needn’t have worried. Ted made the experience a lot of fun and it was great to have an idea of what to expect on the day! We were lucky enough to have beautiful weather on the big day and after seeing the photos from the engagement shoot, we couldn’t wait to see the results from the wedding…needless to say, we were not disappointed. I have lost count of the number of times we have looked at them! Working with Ted and Kim was such a wonderful experience and really helped to make our day so memorable. We will definitely be recommending IMMI to our friends. IMMI are the perfect choice for so many different types of photoshoots be it action packed family scenes outdoors or beautiful serene portraits. We have been lucky enough to have had a newborn photoshoot, a busy toddler shoot and family shoots all of which have been amazingly relaxed and the pictures to come from all of them have been stunning and unique. Ted & Kim are so friendly and really listen to just what you want and nail it every time. Kim has a special way with little ones which has resulted in capturing the real personalities of our children. The resulting photos have been beautiful and timeless but capturing the fun of our children being young. I honestly would not even consider going to anyone else now for any type of photos as every single interaction we have had with IMMI has exceeded our expectations by far. Thank you Ted for doing such an amazing and professional job on our wedding. You made our guests feel so relaxed. We couldn’t of wished for a better photographer to capture the specials moments if our day to create the greatest memories for my new wife and I.
Ted and Kim are such lovely people and make you feel like a friend not just a client. So thank you Ted and we will be recommending you to all our family and friends. These guys did our wedding & a couple of shoots with our son. They have a natural skill of getting the best out of a picture that when you look back at them (& you will look back at them. A lot!!) you think “how the hell did you capture that moment!!! I can’t recommend them enough. They have an edge that I can’t put into words but the proof is in the picture. They are so easy going & you feel comfortable around them & I think this may be the secret. As long as they are in business we will go back to them. Fantastic, brilliant wonderful photographers! Our wedding pictures were superb and our children’s pictures just amaze me! Totally capturing the real personalities of my boys! So pleased I got to know and use these genius’! We have had chance to let the dust settle and review all of your wonderful photos and we just wanted to say thanks again for helping us throughout the process and also capturing our special day for us. We have shown the photos to our families and they are all impressed with the photos and how natural the photos are which is exactly what we wanted from the photos. We have also said how brilliant you were on the day to Winters Barn and would certainly recommend you to our family and friends. 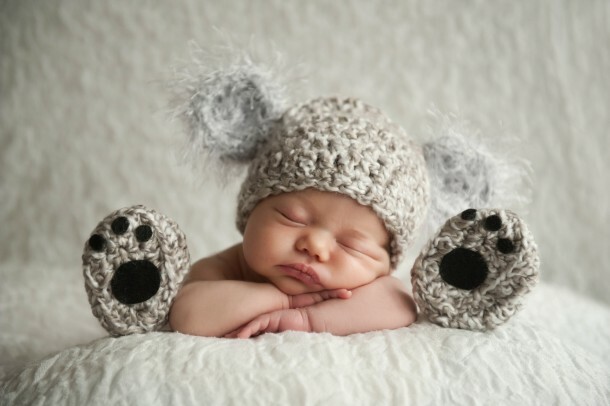 We would like to say a very big thank you for the photographs you took of Baby Logan. You made us feel so welcome in your home. We feel that a lot of time and dedication went into making the photographs perfect. The quality of the photographs is outstanding and worth every penny. I will certainly be recommending you and hope to have more photographs taken in the future. Damien and I are so pleased, they are beautiful and and a memory we will treasure forever!